Exquisite presentation, delicious fare and impeccable customer service at this charming downtown restaurant. On Cordova Street, south of the Casa Monica. 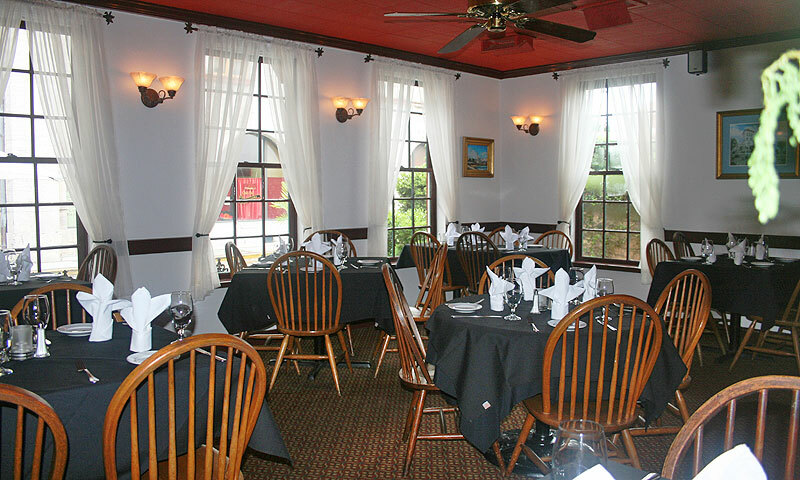 This charming downtown restaurant located within the Old City House Inn Bed and Breakfast offers visitors a quaint atmosphere paired with gourmet cuisine. 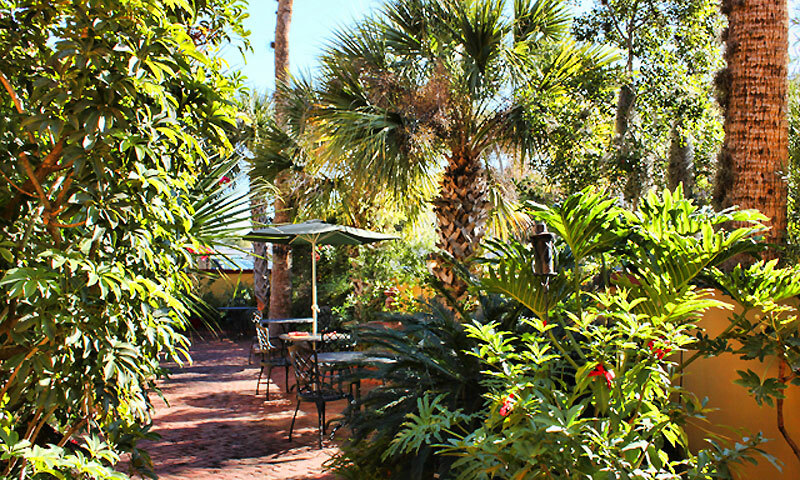 Old City House Restaurant has been voted "Best of" in St. Augustine eight times! Old City House Restaurant offers a wide variety menu with upscale and fresh entrees. 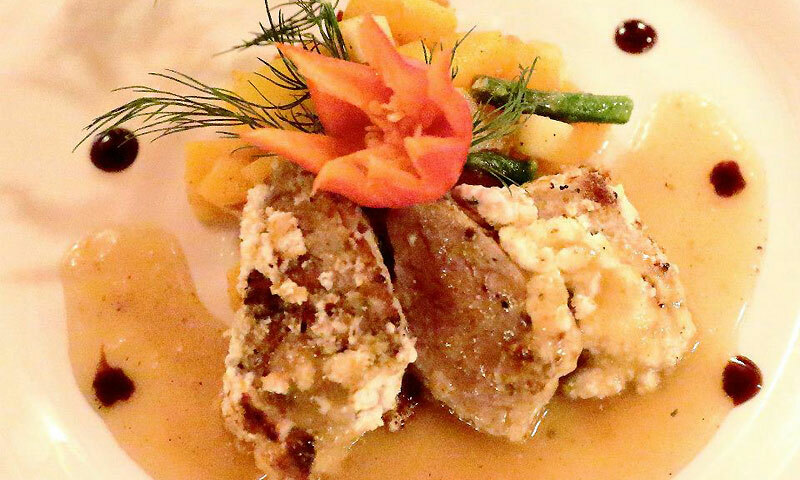 Enjoy the Goat Cheese Crusted Pork Tenderloin for dinner or indulge in their delicious Grilled Vegetable Lasagna and so much more. The exquisite presentation, delectable fare and great customer service at Old City House Restaurant keeps visitors returning year after year. This restaurant also specializes in an amazing brunch on Sundays! Enjoy the assortment of breakfast items and relax on their pleasant patio area. They are serving lunch and dinner every day of the week. Enjoy the fine-dining atmosphere combined with the relaxed, small-town charm of St. Augustine at the Old City House Restaurant. 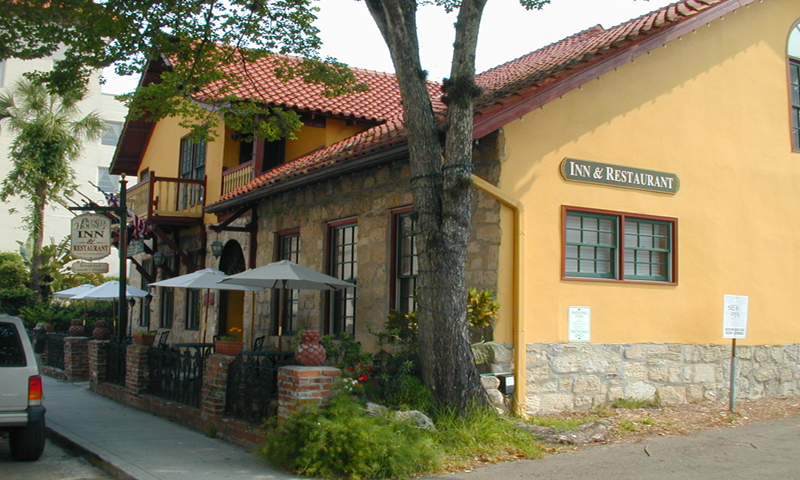 Old City House Restaurant is located on Cordova, south of the Casa Monica. I have eaten here several times over the past five years -- and have never been disappointed! It is great for a date-night or with a group of friends or family. Elegant but comfortable. Never rushed. Excellent service and fantastic food. I highly recommend.